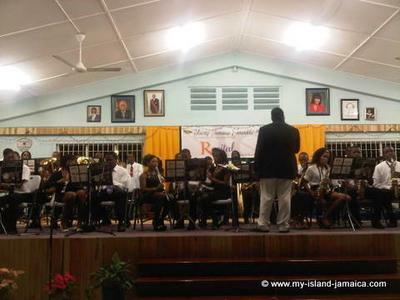 The Young Jamaica Ensemble, the stage name for the Sam Sharpe Teachers' College Community Band displayed a rousing performance on their 15th annual 'Recital'. 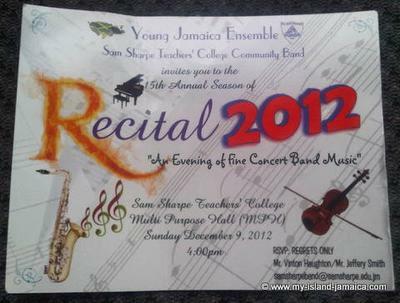 The event was held at the Sam Sharpe Teachers' College Multi Purpose Hall (MPH) on Sunday evening, December 9th, 2012, under the theme, "Sounds Of The Season". Over twenty electrifying performances were done, which included arrangements of reggae, vintage Jamaican music, Jazz, R&B and a some all time favourite Christmas carols. Amoung the highlights were a medley of Michael Jackson songs, arranged by Michael Brown, a piece entitled "Big Band Classics", arranged by Robert Smith and "Jamaican Sketches" arranged by Vinton Haughton, their musical director, in celebration of Jamaica50. 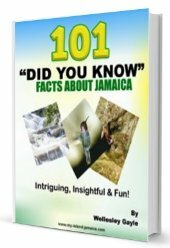 "Jamaica Sketches" comprised various all time Jamaica favorite music tracks, including, "This is the land of my birth", "Jamaican Ska", "Oh Cherry Oh Baby", and a more recent piece "Bruk eh Dung". 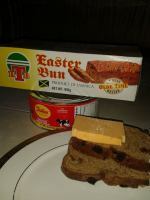 That "Jamaica Sketches" arrangement had earlier received a national award. Mr. Haughton, by the way, was recognized by the institution for his unwavering commitment and dedication to the band. 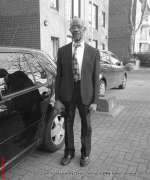 He has been serving in his capacity without any remuneration. 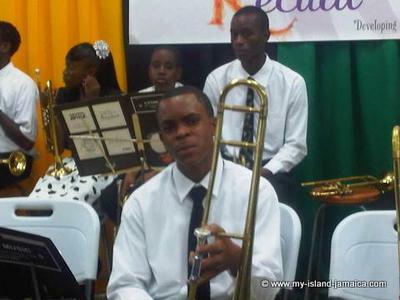 Towards the end of the ceremony, several band members were recognized for their outstanding performances in music; in the band, at the CXC level, by the Royal School of Music and also for attaining national awards at the JCDC festival awards. The list included Mickel Tucker, Andreen Brown, Lemar Lindsay (Most Improved), Markland Allen, Damion Martin, Keith Woolcock, Alladin Williams and Glenford Williams. Mickel Tucker copped the top prize, the Band Member Of the Year! The snazzy emcee, Ms. Natalie Morris, highlighted some the band's worthy partners, which included The Jamaica Cultural Development Commission (JCDC), The Herbert Morrison High School Band, Mount Alvernia High School Band, Northern Caribbean University department of music, Montego Bay High School For Girls and the Heights Marching Band. The band is comprised of over 40 well groomed and uniformed members, mainly males (very refreshing). Many of the band members play at least one instrument. After the performance the marching band later had a brief display on the outside. It was indeed a memorable performance for all those in attendance. Join in and write your own page! It's easy to do. How? 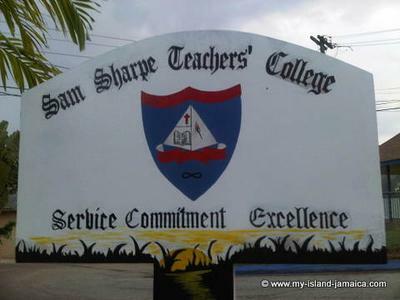 Simply click here to return to Sam Sharpe Teacher's College Forum.